The Student Affairs Division is located in a newly completed building situated between the old NISER building and the Establishments Office. The division is concerned with student welfare generally. Its function is to provide, direct, guide and encourage a number of extra-curricular activities and services, including all aspects of life in Halls of Residence. Students are able to receive assistance and advice from the Student Affairs Division on different kinds of matters including counseling and personal problems, housing, orientation, financial aid, scholarships and prizes, careers, sports, National Youth Service Corps, etc. The Student Affairs Division maintains an active partnership with students in the development of new programmes and enrichment of those already in operation. The activities of the Student Union and all other student Clubs and Societies are coordinated through the Division. The objective is to provide an enriching cultural, physical, social and morally uplifting environment for the student as a rewarding complement to his academic work. The Dean of Students is the Head of the Student Affairs Division. He is appointed by the Vice – Chancellor for a specific period. Normally, to be considered as Dean of Students, he/she should, normally, have served as a Hall Master/Mistress and Warden. The University of Ibadan has twelve Halls of Residence (ten undergraduate and two postgraduate), with a total optimum capacity of nearly 8,000. Location: to the North of the University Court. The first residential hall in the University, named after Kenneth Mellanby, the first Principal of the University College, Ibadan (1947-1953). It was formally opened on 17 November, 1952. The hall has a capacity for 414 students. Location: to the west of the University Court and adjacent to Mellaby Hall. Location: at the Eastern end of Niger Road. Formally opened in 1954, it is named after the late Rev. Israel Oladotun Ransome-Kuti (1891-1955), an educationist and musicologist, who was the first President of the Nigerian Union of Teachers, and a member of the historical Elliot Commission on Higher Education in West Africa (1943-1945). The majority report of the Commission to which he subscribed led to the establishment of the University of Ibadan and similar institutions of higher education in West Africa. Kuti Hall has a capacity for 520 students. Location: to the west of Kuti Hall, along Niger Road. It was formally opened in 1962 by the late Sir Alhaji Ahmadu Bello (1909-1966). The Hall is named after his great grandfather, Muhammed Bello (1781-1837), a scholar, poet, administrator, soldier and chief builder of the Sokoto Caliphate. Sultan Bello Hall has a capacity for 406 students. Queen Elizabeth Hall, the first female undergraduate hall, is named after Her Majesty Queen Elizabeth II, Queen of Great Britain and Northern Ireland, who visited the University of Ibadan in February 1956 and performed the formal opening ceremony of the Hall with a capacity for 550 students. A new wing has recently been completed and ready for occupation. Alexander Brown Hall is a mixed hall for Clinical Students. It was opened in 1957, and named after the late Professor Alexander Brown, the first Professor of Medicine of the University in 1971. It has a capacity for 744 students. . Location: at the end of El-Kanemi Road. Independence Hall, so named and formally opened in 1961, in commemoration of Nigeria’s attainment of independence on 1 October, 1960. It has a capacity for 978 students. The Hall is named after the first Governor-General of Independent Nigeria, first President of the Federal Republic of Nigeria, Dr. Nnamdi Azikiwe. The first residents of the Hall came in 1963/64 session. It is one of the largest halls in the University with a capacity for about 999 students. Location: along Barth Road, and adjacent to International School, Ibadan (ISI). Idia Hall is the second female hall. It is named after Idia, a Bini Queen who lived in the 15th Century. She was the mother of Oba Esigie who reigned in Benin from 1485-1530. A lovable mother and a powerful queen, she was the first woman in the then Benin Kingdom to start the fight for women’s rights. She was a warrior and, though a woman, led the Binis to the victorious battle of Idah. It is in recognition of this noble act that her son, Oba Esigie, commissioned the making of a mask to immortalize her. This mask of Queen Idia was the symbol for Festac ’77. Idia Hall was built in1975. An additional wing was completed in the 1992/1993 session. It has a total capacity for about 1,158 students. Obafemi Awolowo Hall had once served as the second formal postgraduate hall of residence of the University, and now it serves the undergraduates only. Following the disaster that ravaged the prefabricated blocks of Queen Elizabeth Hall in 1991, male and female undergraduate students were relocated to the Hall permanently. It was made an autonomous hall of residence in February 1986. Location: along El-Kanemi Road and directly behind Sultan Bellow Hall. Tafawa Balewa Hall is the University’s first post-graduate hall of residence. It was opened in 1968 and named after Sir Alhaji Tafawa Balewa, first Prime Minister of Independent Nigeria (1960-1966), and the first Visitor of the University of Ibadan as an autonomous institution. The hall has a capacity for 207 students (men and women). It is easy to recall that this magnificent edifice was kindly donated to the University durfing her 50th Anniversary celebrations in 1998 while Gen. (Dr) Abdulsalami Abubakar was the visitor to the University. The donation was made by a pronouncement during the Foundation Day Ceremony. He promised to give the University, a 1000-bedded hostel. The project was executed by Federal Ministry of Works and Housing. It is worthy of note that the project was completed in record time and was commissioned by the immediate past visitor, President Olusegun Obasanjo on 2nd February 2001. The Hall was subsequently handed over to the University Management who in her wisdom decided to use the facility as a postgraduate hostel in order to guarantee its non-vandalisation and also to alleviate envisaged impending postgraduate accommodation problems, as the University at that time was maximally stretching postgraduate admissions. This facility has gone a long way, alleviating accommodation problems of the University especially at the postgraduate level. The first set of postgraduate students moved into the hall in March12002. The New Postgraduate Hall currently houses on the average, about 700 postgraduate students in single, double and3-bedded rooms. * Computers for internet access facility in the hall. The New PG Hall came on board administratively on 4th February 2002 but was physically occupied by students in March 2002. The Hall is one of the three postgraduate halls within the premises of the University and it currently houses about 700 students on the average, either in single, double of 3-bedded rooms. There are four blocks A,B,C,& D are Female blocks while Blocks A & D are male blocks. Blocks C and D are largely for single and double rooms while Blocks A and B are 3-bedded rooms. A standard student room in the hall has a ceiling fan, four wardrobes, beds and mattresses, two fluorescent fitting, louver blades. The hall started with a caretaker committee in 2002 which later evolved into a full-fledged student executive body directly operating in harmony with the Hall Representative Council (HRC) which is drawn from floor representatives. The HRC has a primary oversight function on the Hall Executive Committee. Their activities over the years had been eventful and characterised by fun. The Hall successfully had its maiden Hall week in November 2007 where some important dignitaries including General (Dr) Abdulsalami Abubakar were honoured. There had since been continuity in the election of students into the executive body year after year. Efforts are currently on to properly furnish the rooms. The Vice-Chancellor of the University Professor Olufemi Bamiro while addressing residents at the maiden Hall week Dinner indeed promised to see to the furnishing of the hall to international standards. *it is properly furnished to international standards by the University. There is usually a student executive body which consists of students who are elected every new session by the students of each hall to handle internal student matters, as well as act as an intermediary between the Hall Administration and the generality of students. Awolowo Hall was designed by Allied Group of Architects, while Tafawa Balewa and Idia Halls were designed by Messrs Aderele-Omisore-Adebanjo Associates. The Federal Ministry of Works designed the new Postgraduate Hall. It is the policy of the University to provide an environment that will assist each student in developing his or her academic and social potentials to the fullest. For this reason, the halls of residence are considered to be an integral part of the total educational enterprise at the University of Ibadan. The Halls are not merely places to sleep in for many months of the year; they are home for the students. And that is how it should be. With effect from the 2001/2002 session, only bonafide registered students of the University, except sub-degree students, are allowed to live in Halls of residence. Accommodation in halls of residence is a privilege and not a right. Students who opt to live in University halls of residence must therefore abide by the rules and regulations governing all residents in each hall. From the 2001/2002 session, students who reside in the University halls of residence were made to sign Tenancy Agreement in order to maintain high-level of discipline and decent environment. The demand for Hall accommodation far exceeds the number of available bed spaces. All rooms are, therefore, allocated to qualified students on the basis of first-come-first-served. The system of accommodation is that of two or three students sharing a room in accordance with the architectural design. The Lodgings Office, however, assists in securing off-campus accommodation near the University campus for those who cannot secure accommodation in the halls of residence. In the past, requests for accommodation in Halls of residence by new students used to be forwarded to the Lodgings Officer as soon as they received their letters of admission. However, with the establishment of the Management Information System Unit, the Unit now allocates fresh students to Halls of Residence. In the 2001/2002 session, the University Administration decided to provide accommodation for all fresh undergraduates in order to protect them from the menace of unscrupulous individuals. Each Hall has modest conveniences such as toilets, showers, beds and kitchenettes. There is however, no running hot water facility. Students are responsible for the cleaning of their rooms. Professional cleaning contractors are also engaged to clean the immediate surroundings of the halls of residence. The University does not provide laundry services. However, students can obtain laundry services on private arrangements with the launderers who operate within the Hall premises. The Student Union runs a well stocked Bar and Buttery in the Student Union Building. There are butteries also in the halls of residence and around the campus, where small items of provisions and toiletries are available. There is also a shopping Complex popularly known as Mini Market, built within the University, which is adjacent to Azikiwe Hall. The construction of another complex in Abadina Village is about to start. The Student Centre, opposite Sultan Bello Hall, also has a shopping mart, while a set of shops is under construction outside the Swimming Pool fence. There are four banks which are located close to the University, three of them, the First Bank (Nigeria) Plc, FinBank (Nigeria) Plc and the Afribank Plc. are near the University main gate. Wema Bank Plc., and Skye Bank (Nigeria) Plc., are located close to Bodija market. Students are advised to take advantage of the proximity of the Banks to the University and make use of their facilities in order to avoid keeping large sums of money in the Halls of Residence. Besides, there are ATM machines which are located at places close to the Senate Building, the Postgraduate School, the Faculty of Law, Idia Hall, and Faculty of Education. 1. Rooms may be occupied on the day before the beginning of classes and through to the last day of the semester. or are dismissed from the University for any reason whatsoever shall not be entitled to return to the Hall as of right; neither are they entitled to any refund of accommodation fees or any other regular charges for the period of absence from the Hall. 3. The right to occupy a room is not transferable. The penalty for an infraction of this regulation is summary ejection from the hall. It is an offence punishable by a fine of up to #1,000.00 and/or expulsion from the hall, for any student to accommodate any visitor or student in his/her room overnight without the permission of the Hall Warden, in writing. 4. Squatting is prohibited. Any infraction of this regulation will lead to summary ejection of both the host and the squatter from the Hall. 5. Students are liable for any careless or willful destruction or damage of University property for which they are responsible. 6. At the close of the semester, students are required to return all keys and other University property in their possession immediately. (i) The use of certain electrical appliances may cause electrical faults and result in fire hazards. Therefore, under no circumstance, must electrical appliances such as electric cookers, toasters, grills, immersion heaters, heating coils, hot plates, iron, television, refrigerators, ovens and multiple outlets, etc, be used in student rooms. These may be used only in rooms especially provided for this purpose in each hall. Further information may be obtained from the Warden of each Hall. (ii) Candles are not normally allowed in student rooms but when there is no electricity and candles are used, great precaution must be taken to avoid any possible fire outbreak. (iii) Ash receivers (trays) must be used when smoking or extinguishing cigarettes, etc. Smoking is not permitted in the rooms. Be reminded that smoking is dangerous to health. (iv) All incidents of fire shall be investigated by the Security Unit and reported to the Registrar and the Council Committee on Security. Both the national fire codes and the University’ regulations will govern the criminal and/or disciplinary action to be taken. For health and sanitary reasons, pet animals, bird, fish and/or reptiles are prohibited in and around University Halls of Residence. The University does not accept responsibility for any loss of personal property in the Hall. Such losses should be reported to the Security Division of the University. Further details are available in the Rules of Residence (Tenancy Agreement) obtainable free of charge from Warden Offices. A student, once allocated to a hall, is not normally permitted to transfer to another one, except on medical grounds and/or for any reasons acceptable to the Hall Authorities concerned. Applications for transfer shall be made on the appropriate form obtainable from the Student Affairs Division. The University, however, reserves the right to make changes in room assignment, or transfer students from one hall to another during session. It is very important that all students return their keys to the Porter on duty on the last day of each semester even if their Hall is assigned as a room for the vacation residence. The halls of residence are used during vacation for conferences and seminars. Therefore, only graduates, Clinical, Veterinary, Agriculture and Forestry and Technology final year and foreign students and others who are judged with sufficient reasons, are normally allowed to stay in halls of residence during first semester vacation. Applications for permission to stay in residence during vacation must be made on the appropriate forms obtainable from the Student Affairs Division and returned to the Lodgings Officer to reach him not later than one week before the end of semester. Except in cases where the cost of vacation residence has been paid with composite fees, students staying in halls of residence during vacation are required to pay rent in advance for the whole of the vacation period and not for only part thereof. Students who are permitted to stay in residence for the vacation must move to the hall currently assigned for that purpose. It is only on short breaks of two weeks and below that the above-mentioned category of students can be allowed to stay free of charge in the halls of residence. No undergraduate student is allowed, under any other circumstance, to remain in any Hall of Residence during the long vacation. The Student Welfare Board, a staff-student Board of Senate, is responsible for the organization, supervision and control of life in halls of residence and the general welfare of students. 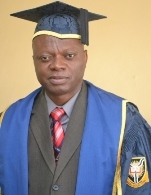 The Vice - Chancellor, represented by the Deputy Vice-Chancellor (Academic), is Chairman of the Board. Each Hall of Residence has a Management Committee, which is responsible for matters of general policy for the social, athletic and intellectual activities of the Hall. The Management Committee is given powers to arrange its own social, cultural, or intellectual activities designed to preserve, develop and enrich the traditions of the Hall and make life in the Hall generally interesting and worthwhile. The Management Committee consists of the Hall Master/Mistress, (as Chairman/Chairperson), the Hall Warden and Assistant Wardens, the Hall Supervisor and elected student members of the Hall. The Management Committee is required to meet once a month, to keep proper records of its business, and may make recommendations to the Student Welfare Board. The supervision and administration of the life and activities of each hall is the responsibility of a Hall Master/Mistress and a Hall Warden. The Hall Master/Mistress is appointed by the Vice - Chancellor. Such appointment is on the recommendation of the Dean of Students, normally from among the Professors, for a three-year period, renewable once for only two years immediately, thereafter. He/She should have earlier served as Warden before appointment as Master/Mistress and is responsible for the direction of the affairs of the Hall and for all the matters of discipline therein. The Hall Master/Mistress is the Chairman of the Hall Management Committee. The Hall Warden is also appointed by the Vice-Chancellor on the advice of the Hall Master/Mistress and Dean of Students from among the senior academic and administrative ranks. The Warden, with usually two or three Assistant Wardens, is responsible for the general administration of the Hall including general student welfare, staff matters, finance, allocation of rooms etc. In the absence of the Master, the Hall Warden takes the Chair at meetings of the Hall Management Committee. A staff member, to be appointed as Warden, must have previously served as Assistant Warden before in a Hall preferably his/hers as a student. (d) All others (Arts, Science, the Social Sciences, Education, Agriculture and Forest Resources Management, Law, Dentistry and Pharmacy) in their second year of registration. Assistance to off-campus students is available at the Lodgings Bureau of the Student Affairs Division. However, the University will not be party to any financial contract between the Landlords and students. Returning students must apply for accommodation in their respective halls. Application must be made on the appropriate form obtainable from the Warden’s Office and returned to reach the Warden not later than two months to the end of the second semester. The University cannot guarantee hall accommodation for any returning student who fails to follow this procedure. The feeding of students ceased to be the University’s responsibility from October, 1984. This is in conformity with the Federal Government’s decision not to subsidize students feeding in institutions of higher learning in the country as from that date. However, reputed caterers provide catering services in each Hall of Residence and the Igbo-Ora Project site. Students buy their food on the basis of what they can afford. Each cafeteria opens at 7.00 a.m. and closes at 9.00 p.m. daily. (i) 4.00 p.m. - 9.00 p.m. (week days). No visitor will be allowed in the Halls of Residence outside the approved periods. For the avoidance of doubt, 9.00 p.m. is the time limit for every visitor to leave the inside of the Halls of Residence. (iii) to perform such other functions as related to the feeding of students as may, from time to time, be directed by the Vice-Chancellor. The Catering Services Management Board replaced the Catering Board, which had been in operation since 1978. The establishment of the Board is as a result of the Federal Military Government’s decision not to subsidize the feeding of students in the Universities as from October 1984. The Catering Services Management Board, as at now, has 10 members, made up of 8 relevant University schedule officials and 2 students. The Board has as its Chairman, the Dean of Students, a nominee of the Vice-Chancellor. The Pyrates’ Confraternity founded in 1953 by seven idealists, young men at this University, then a College of the University of London, is generally regarded as the fountainhead of what is now called Campus Cultism. It was started with laudable objectives and good intentions but, as the adage goes, “the way to hell is paved with good intentions”. About 20 years later, two more organizations, the Buccaneers and the Eiye Confraternities were also founded at the University. Branches of these confraternities were started in other universities existing in the country at the time. Soon, there followed a proliferation of similar campus organisations, some referred to themselves as fraternities, confraternities, or cults. The newer ones neither espouse any laudable aims nor objectives. By the 1980s, bloody violence characterised these organizations such that it became the only means of settling disputes within or among them. There was a struggle for supremacy among the different cult groups, particularly, in most universities. It led to the death of many cult members, and many innocent students and members of the university communities. The campus cult groups became increasingly evil until all of them were banned from the university campuses. Some of the cult groups went underground to become secret societies. In order to keep their names above the murky reputation that these organizations attracted to themselves, the Pyrates’ Confraternity registered the name National Association of Seadogs with the Corporate Affairs Commission in 1980. The Buccaneers’ Confraternity followed suit sometime later by forming the Buccaneers’ Association of Nigeria. Activities of these confraternities were expected to cease at the institutional level at this time, but the national organizations could not enforce the ban. Campus Cults were originally all-male societies. Since the 1990s however, all-female cults have also emerged in most campuses. Following the gruesome, cold-blooded murder of five undergraduates of the Obafemi Awolowo University on July 10, 1999 by suspected cultists, the Federal Government gave marching orders to all Vice-Chancellors and Chief executives of federally-owned higher educational institutions to abolish cultism on their campuses within a period of three months. This has not proved possible because of the basic, moral, as well as spiritual nature of the conditions in the nation as a whole, and, within the university campuses which, unfortunately, are conducive to cultism. On August 26, 1999, the University of Ibadan Vice-Chancellor set up an Anti-Cultism Campaign Committee, which has adopted a holistic approach to the eradication of the menace. Public awareness programmes to sensitize the entire University community to the evils of cultism have been mounted. Cultists have been encouraged to withdraw from these evil societies and counselling is provided for those who do. A period of amnesty for those who voluntarily renounced cultism was announced. That period is now over and anyone - staff or student- who is proven to be a member of these societies, shall henceforth face the penalties provided by the laws of the Federal Republic of Nigeria and the regulations of the University. The Students Union Activities (Control and Regulation) Act of 1989 empowers the University Authorities to proscribe any unlawful society. The Act under reference also contains penal provisions and states that any person convicted of an offence under the Act shall be liable on conviction to a fine not exceeding N50,000 or for imprisonment for a term not exceeding five years or to both fine and imprisonment. The efforts of the University of Ibadan Anti-Cultism Campaign Committee are directed at making cultists to realize the errors of their ways, to renounce cultism and be re-integrated into the society so that they can profit maximally from their membership of the University community and become useful to themselves, their families, the community and the nation as a whole. Some parents only learn of their children’s involvement in cult activities when such students are rusticated, expelled or have become corpses as a result of inter-cult violence. The spirit behind cultism is demonic. Therefore its eradication must involve spiritual warfare, as well as the elimination of the conditions on which cultism thrives. The Committee solicits the cooperation of the entire University community and parents to eradicate cultism and its menace on the campus. Although the University of Ibadan is a public non-sectarian institution, facilities are provided for members of the community to observe their religious faith. There are three main designated places of worship, two Christian Chapels and a Mosque in the University. The Chapels are the Protestant Chapel of the Resurrection and the Catholic Chapel of Our Lady Seat of Wisdom. The Baptist Church later joined the group of Christian churches in the early 1980s. It must be added, however, that there are other places of worship for Christians (Fellowship centres) and Muslims (Mosques and praying grounds), which are close to the halls of residence, in the faculties, and within the Abadina community. These places of worship are generally open all day for private meditation, prayers and congregational (fellowship) worship. The Chapel of the Resurrection is the place of worship for all Christians in the University of Ibadan. The Chapel’s motto is “SERVICE” (Rom 12: 1-2) the vision is “Reaching out to the total Man” (Matt 28: 18) and its mission is “Building up the perfect man in Christ” (Eph 4:1, 17). The Chapel opens daily at 6.00a.m. The Chapel is well reputed for the uniqueness of its “tomb-like” architecture and it houses the sculpture of the Risen Christ, one of the most significant works of the renowned Nigerian artist and sculpturist, Ben Enwonwu. A complementary Chapel Hall provides offices, reception hall, meeting rooms, etc. The Holy Communion Service is at 7.00a.m every Sunday, while regular service is at 10.00 a.m. On the first Sunday of every month, however, the service for the day is the Holy Communion at 10.00a.m unless otherwise directed in the service sheet or by prior announcement. In the month of December, the Holy Communion Service is held at 7.30a.m on the first Sunday. Baptism service is usually held on the last Sunday of every month at 6.00p.m while confirmation service takes place every session, usually the Sunday after Easter. Arrangements concerning thanksgiving, marriages, funerals and other occasional services should be made with the Chaplain, Chapel of the Resurrection, University of Ibadan; Phone: 234-2-7519530 & 234-802-4398463. There are a number of Men’s and Women’s Groups that exist in the Chapel, two of these are student groups, namely: the Students Christian Movement (SCM) and the Ibadan Varsity Christian Union (IVCU). The SCM meets on Sundays and Thursdays at 7.30p.m while the IVCU meets on Sundays at 2.00p.m and Wednesdays at 7.30p.m. The Youth Forum (TYF) is a group where all the youth in the Chapel interact irrespective of their activity groups or backgrounds. They meet on Sundays (4.00p.m – 6.00p.m) and organize the Youth Bible Study at 5.00p.m on Tuesdays. A very active arm of the Chapel, the Youth Forum (TYF) activity sub-groups also meet on Fridays at 4.00p.m. All new students, or members of the University community, who wish to join, formally, the Chapel of the Resurrection as congregants are required to register their membership with the Chaplain, the Assistant Chaplain or the Ushers at the beginning of the year or at their first attendance. Mass is celebrated at the Chapel daily at 6.30a.m but on Saturdays and Public Holidays at 7 a.m. When the University is in session, Masses on Sundays hold at 6.30a.m, 8.00a.m, 9.30a.m and 6.00p.m. Confession holds daily on work days, after morning Mass, on Saturdays, from 5.00p.m, and by special request. Infant baptism holds on the first Saturday of each month at 4.00p.m. Parents/Guardians are urged to obtain the requisite pre-baptism forms from the catechist in charge. Confirmation is administered biennially and at the convenience of the Archbishop. Arrangement for the celebration and/or reception of the sacraments (Marriage and Anointing of the sick) can be made in the Parish Office. Although there are several pious societies and groups in the Parish, all the students belong de jure to the Nigerian Federation of Catholic Students (NFCS), a national umbrella for all Catholic Students in tertiary Institutions in Nigeria and an affiliate body of the Pax Romana. Apart from the St. Cecilia’s Choir (the Students’ Choir that sings at the 8.00a.m, Sunday Mass), there are, in the Parish, three other choirs made up of staff and students. Doctrinal classes and instruction in the faith hold regularly (especially on Sundays and Tuesdays). There is now a continuous exposition and adoration of the Blessed Sacrament (7.00a.m-7.00p.m daily). The administration of the Parish is coordinated by the Parish Priest who is assisted by the Finance, the Parish Pastoral and the Laity Councils. These Councils help to co-ordinate and facilitate the different religious activities in the Catholic Chapel. The ultra-modern central mosque, which accommo-dates quite a large number of worshippers both from within and outside the University community, is open for the five daily obligatory prayers. There are also the Abadina Mosque, which serves the Abadina community, and the Obafemi Awolowo Hall Mosque, which serves the needs of Muslim students who live far away from the Central Mosque. These two mosques also open for the five daily obligatory prayers. The Chief Imam with the support of the Fatwah and Ceremonies Committee conducts Friday/Jum’ah services. Occasionally, reputable scholars and eminent Imams from outside the University are invited to lead the Jum’ah services. During the fasting month of Ramadan, special prayers, Tarawih, Qiyamu’l-Layl or Qiyamu Ramadhan are observed at night and in congrega-tion in each of these mosques. Muslim devotees from within and outside the University also gather in the Central Mosque to observe the I’tikaf in the last ten days of the month of fasting. The U.I Muslim community usually organises the annual Ramadan Lecture on such topical issues as politics, economics, globalization and Muslim - Christian relationship, which reputable Muslim scholars are invited to deliver. Spiritual gatherings are also arranged to mark the Laylatul-Qadr, the Night of Majesty – which commemorates the revelation of the Glorious Qur’an. The festival prayers of Id-el-Fitr and ‘Id-el-Adha are observed on the spacious lawn adjacent to the Mosque. The community also organizes programmes to mark Id-el-Maulid. The Mosque organizes a Qur’an reading class for students and other adult male and female members of the congregation who may have missed the opportunity to do this while young. In addition, the Mosque is a beehive of activities as it is open to Muslim worshippers who come for dhikr, tilawah, ta’lim and other devotional activities. There is also a Muslim Women’s body known as Alasalatu Nuratu Deen Society with members drawn from wives of members of staff and other female members of the congregation. The day-to-day administration of the Mosque is done by an Executive Council. This Council is responsible to the Governing Board, which comprises representatives of Muslim members of staff and students and outsiders representing off-campus constituencies. 1. Church Training Programme at 9.00a.m every Sunday. 2. Sunday School (Bible Study) at 10.00a.m every Sunday. 3. Sunday Morning Worship and Celebration at 11.00a.m in two locations. English worship holds in the Main Sanctuary while Yoruba worship is in the Akingbala Hall. 5. Youth Fellowship at 5.30p.m on Tuesdays. 6. Prayer Meeting Service on Wednesdays at 6.00p.m. 7. Girls’ Auxiliary Royal Ambassadors and Discipleship Training at 5.00p.m. on Sundays. 8. Lydias and the Men’s Missionary Union Meetings at different times twice a month. 9. The Women’s Missionary Society Meetings at 5.00p.m. on Mondays. There are members of independent student-directed religious organizations/fellowships in the University, which have their own programmes and scheduled activities. These include, among others, the Student Christian Movement (SCM), the Nigerian Federation of Catholic Students (NFCS), the Ibadan Varsity Christian Union (IVCU) and the Muslim Students Society (MSS). Information concerning membership of these and similar organizations may be obtained from their current officers.